ATRAD Audio is not taking orders until further notice. The site remains available for reference purposes only. Welcome to ATRAD Audio Design. 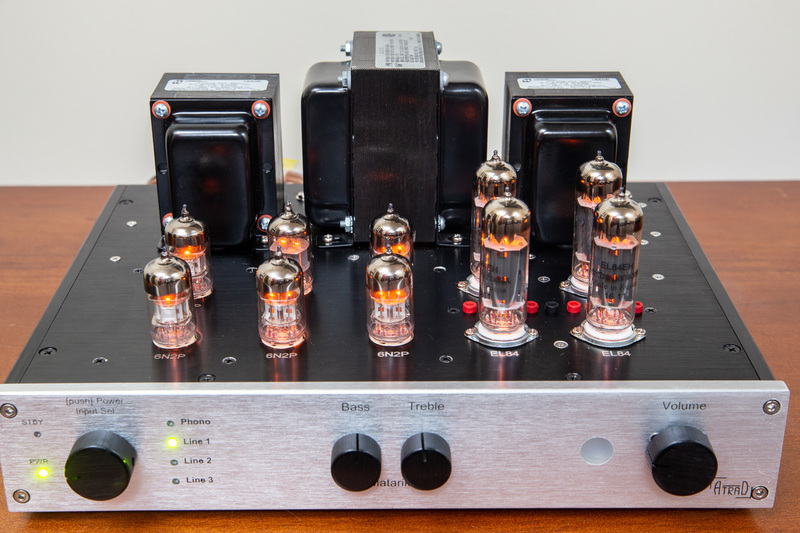 We specialize in hand designed and built vacuum tube hi-fi amplifiers, for old-style listening with a pair of stereo speakers. 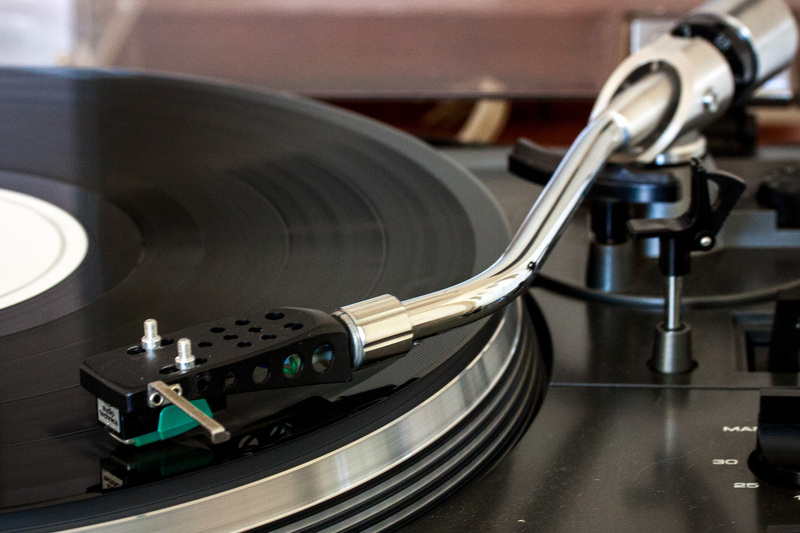 Even though tubes were superseded by modern electronics long ago, audio enthusiasts never stopped loving their warm, smooth and engaging sound – whether listening to vinyl, or modern digital sources, and regardless of music style. 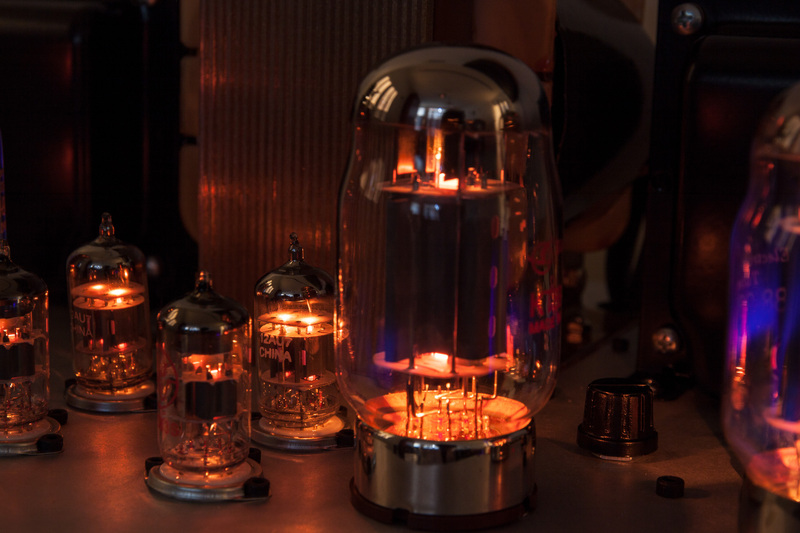 Many feel that the vacuum tube sound just adds another dimension to the music. As well as their sound, they also look awesome. Because what’s not to love about a glass bottle with red-hot insides and a high-voltage blue glow? A real steampunk vibe. We can build one for you, either our standard “Matariki” design, or something custom… take a look at our “Getting Started” page, to learn more about our make-to-order process, then get in touch, and we’ll work with you to design something you’ll be proud to own.